Chicago invented the skyscraper, and some of the most important expressions of that form are found here. I put together a list of the buildings every Chicagoan should know something about – these are the ones that changed the world, challenged design theory, and made history. 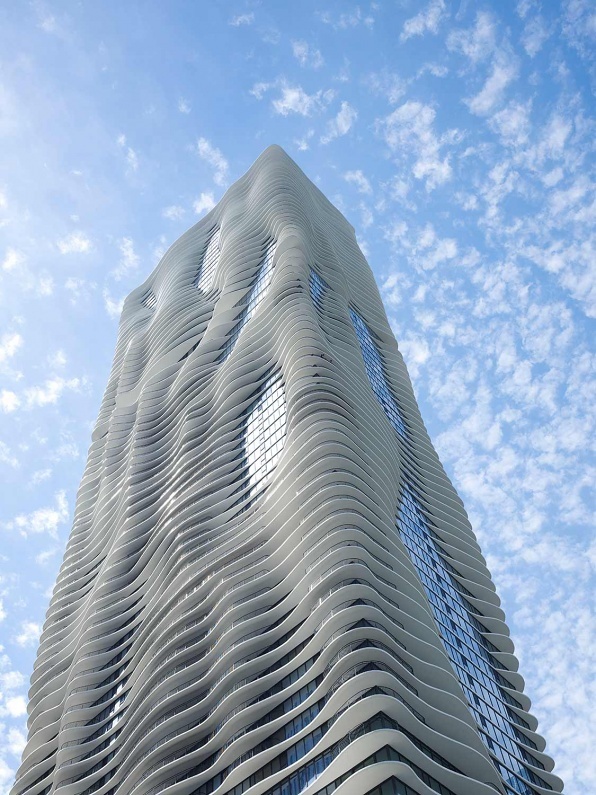 Designed by the red-hot firm Studio Gang, the Aqua building seems to undulate like the waves of Lake Michigan. Curved balconies flow into blue glass interludes, making the building seem to be part of the water it is named for. At 876 feet tall, Aqua is the tallest tower in the world designed by a woman-led firm, and is LEED certified green building as well. This is the only tower east of Lake Shore Drive, and was designed with an almost Mies van der Rohe level of simplicity. Lake Point Tower was one of the first all-electric high-rise residential buildings in the world and pioneered the concept of the “Park in the City,” being the first residential complex in a major city to have its own two-and-one-half acre park—including a playground, pool, duck pond, and waterfalls—three stories above ground. 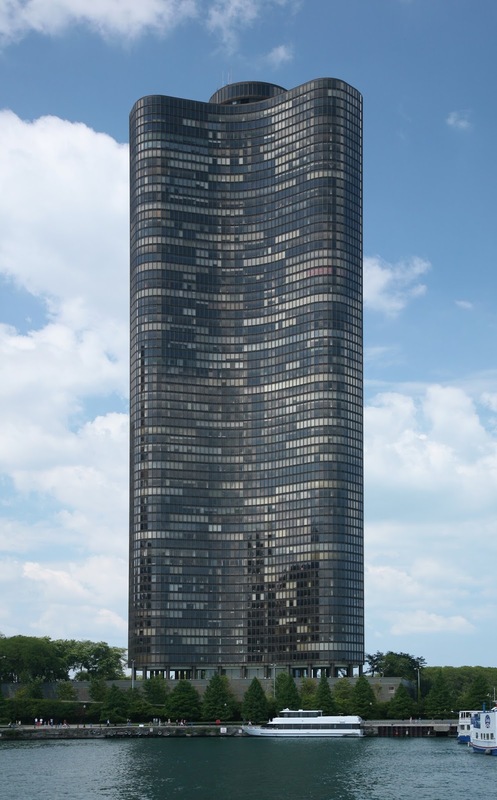 The unique lobed design captures the eye, and is one reason that the Lake Point Tower ranks as one of America’s favorite buildings. 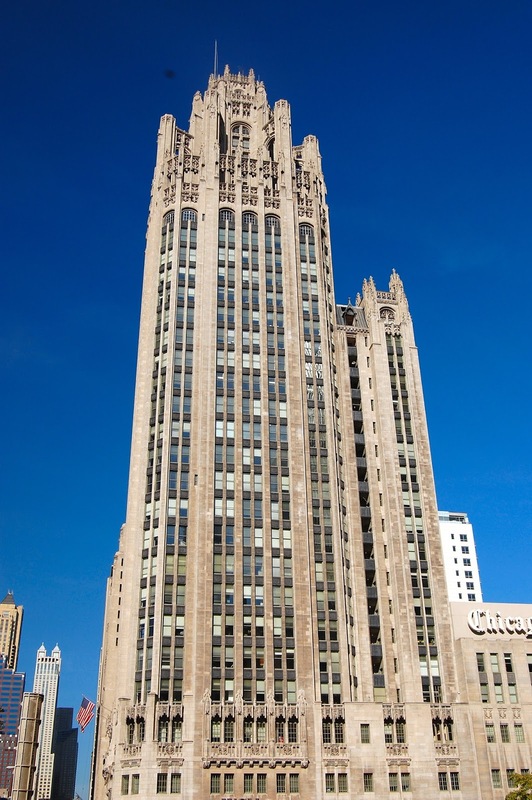 This neo-Gothic structure was commissioned in 1922 to house the Chicago Tribune’s offices. Reflecting the early skyscraper style known as American Perpendicular Style, and crowned with buttresses, gargoyles, and other sculpture more reminiscent of the cathedral at Chartres than a modern tower. Despite the fascinating design, the most interesting aspect of the Tribune Tower exists at ground level. Embedded in the walls are stones from other famous buildings – from such landmarks as the Taj Mahal, the Parthenon, Hagia Sophia, Palace of Westminster, the Great Pyramid, The Alamo, Notre Dame de Paris, Abraham Lincoln’s Tomb, the Great Wall of China, Angkor Wat, the Berlin Wall, and Wawel Castle. Well, ok, this year that headline is a bit silly, fall has been here all year, like the over-eager understudy to summer, staging some accidents to get more stage time. But now, now it is official! And while fall means the return of the boots-leggings-North Face vest look, and pumpkin spice everything (seriously, pumpkin spice futo rolls are too much), it also means Chicago activities start to look at moving indoors. But they don’t stop, not for a second! Here are some events this fall and early winter that are not to be missed! With a town name like that, a horror movie has to be coming soon! Until then, check out Statesville Haunted Prison. Ranked as one of the best in the nation, and the best in Illinois, this take on the haunted house has 150 actors, 40 rooms, and can take upwards of an hour to make it all the way through. Side attractions include riding around in a 5-ton truck (!) shooting paintballs at zombies (paintball target – worst job ever), a ‘City of the Dead’ outside the walls, and a lot of fellow thrill-seekers running in fear. Runs October 1 through November 1. 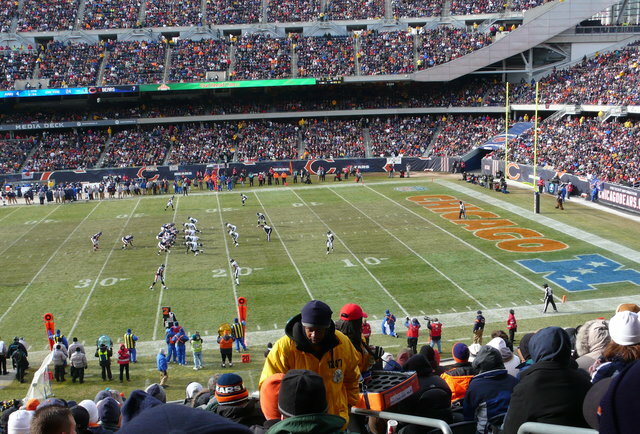 Well, with the way this season looks, the tickets should be easy to come by! Really, though, the vibe in the stands, combined with the tailgate energy and the whole experience make catching a game a thing to do. We suggest trying for a game before the end of November – freezing on top of it all is not something to look forward to. A crawl for something other than booze? Is that legal? Ethical? Possible? Well, it seems it is all three, since the Andersonville neighborhood is not only doing it, but actually advertising it! 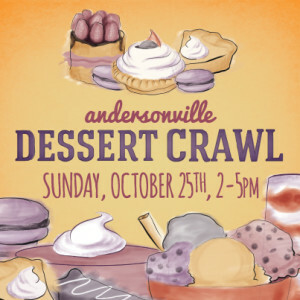 Kidding aside, the Dessert Crawl happens Sunday, October 25th, and runs from 2-5 PM. There are two routes available, with tickets running $25 per route. Treats available include cinnamon and raisin ruggalach, Swedish rice pudding with lingonberries, and a dark chocolate mousse with blood orange olive oil and sea salt. Wow! There is always something happening in Chicago, just because the weather turns there is no reason to stop getting out to do them! Traffic – we have it, and have it worse than pretty much anywhere in the US that isn’t Atlanta. Because, really, they just had to beat the north at something, and chose bad traffic to make that stand. 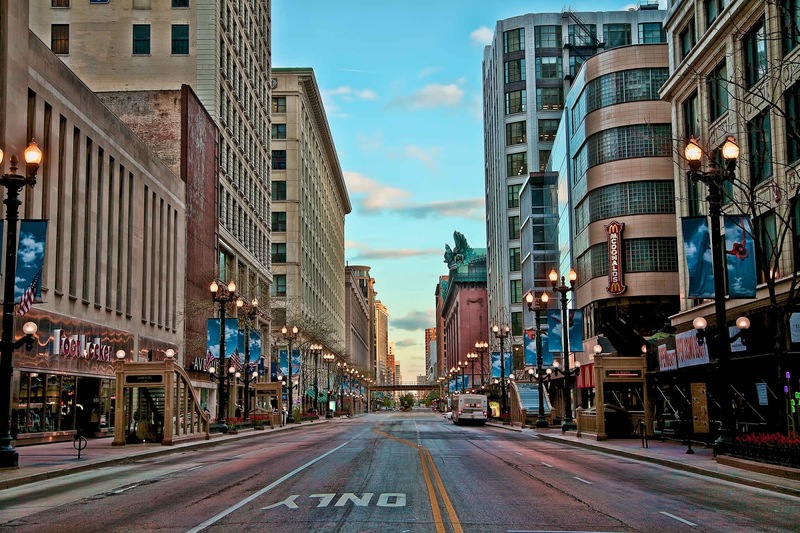 But the Chicago traffic doesn’t have to sap your energy and decades of your life – there are some great tricks to getting around the city that I want to share with you. This is a great way to avoid the hassle after a ball game – skip the line and crowd, and move over to the next transit stop. For the North Siders, this is the Sheridan stop instead of the Addison stop; and for the South Side use the Green Line stop at 35th, not the Red Line. Pulaski / Crawford Runs North Too! 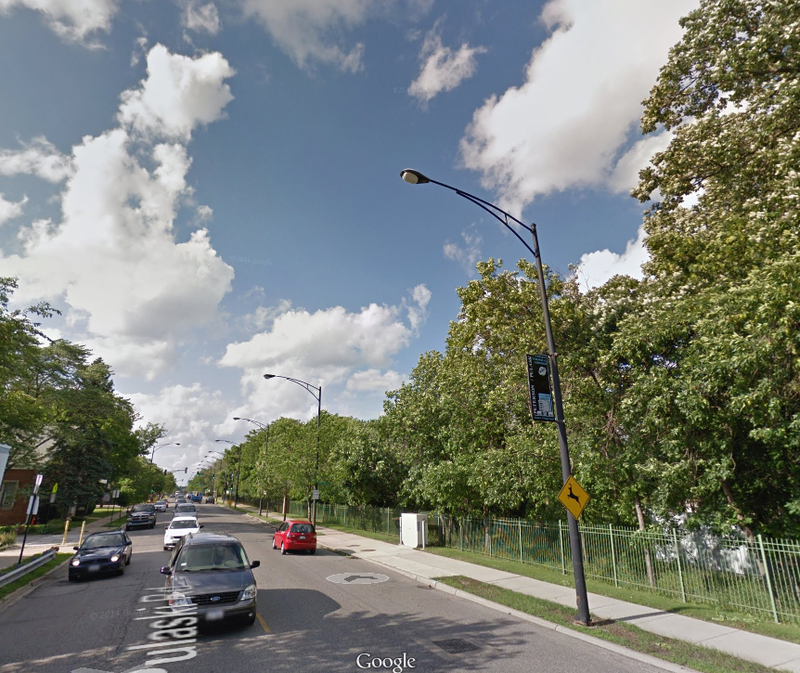 This is a great way to bypass the eternal nightmare of the Edens expressway. Skip over to Pulaski, which is sometimes Crawford, and feel the joy of using the gas pedal again! Bonus, the North Park Nature Center, seen on the right of the photo, offers a soothing natural space to break up the cityscapes. Hidden under the Loop, there is a great series of underground walkways that connect most of the Loop, as well as tourist spots like the Willis Tower, Millennium Park, Federal Plaza, CBOE, and other places. Several CTA stations, and the Millennium Park Garages hook in too, making this a great way to explore the city without dog sleds in the winter. Check out this map for more! Then buy a car to drive back after hitting it big. Or not – but driving there is a pain. And a cab is way too expensive. Horseshoe has a shuttle service that provides free transportation to the Hammond casino, and back. They even let you drink on the way, providing transport and pre-gaming in one service. North on the Ryan can be a total parking lot. But if you are sitting there, wondering if you will make it downtown before the seasons change, you might have looked over to the east, and seen cars zipping by on the side streets. That would be State Street. And it runs all the way in to the Loop, and points north. Moving a bit further east gets you on King Drive, which gets you downtown too. It is the irony of rush hour that the slower speed limits move so much faster, but there it is. United Center traffic can be bad, especially when the Bulls or Hawks are in town (it can be bad in August, which says something about the House that Jordan Built). 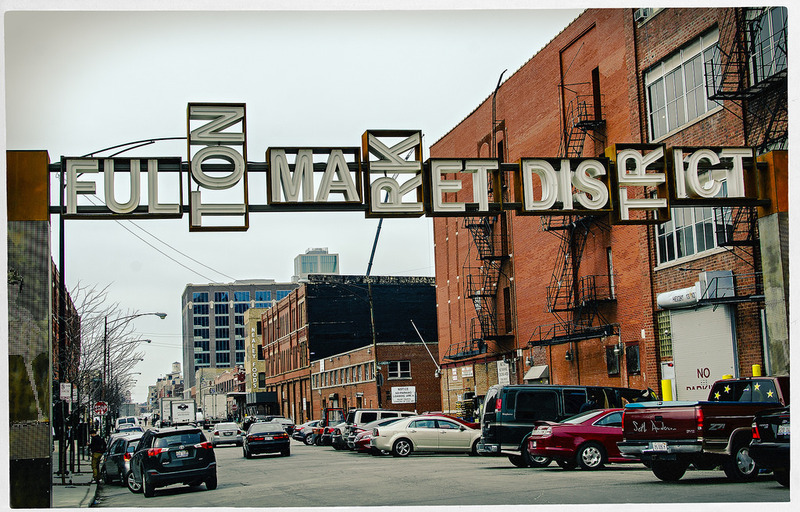 While not a promise, Fulton Market is usually clearer than the other east-west roads headed to the Madhouse. Give it a try, and let me know how it runs! There are so many more, that they need their own post! I’d love to know your favorite.Let me know! Or will be! 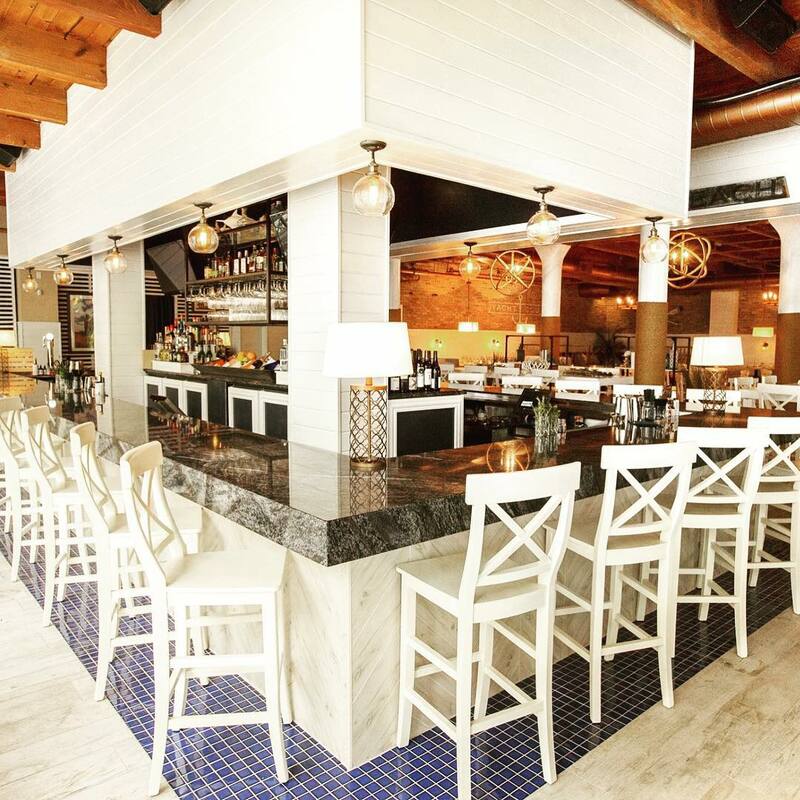 The long-awaited opening of Chicago’s firstHalal Guys restaurant is rumored to be in the works, with a possible late-August opening. Known mainly as a New York cart vendor, the Halal Guys have brought it inside for Chicago, with a small six-table location on Division. Specializing in falafel and gyros, Halal Guys seem to be mainly known for their white sauce. In fact, the New York Times puts it like this “But it’s the white sauce, always the white sauce, that draws everybody in, from uniformed cops to dainty girls whose palates otherwise incline to macarons…”. The official opening is still under wraps, but there has been a flurry of activity behind the butcher paper covering the windows – expect a lunch report as soon as they open! Chicago is unique in the amount of nature contained within the city borders. From the grandeur of Grant Park to the hidden gems sprinkled throughout the city, Chicago is a global model for green spaces in an urban environment. Thrillest put together a great list of the ten best nature spaces in the Chicago area – all but one in the city proper! More than just trees, this 1700 acre oasis right off I-88 is an amazing place to get your nature fix, and some great hiking in as well. You can explore the amazing trails on foot, or take a bike (or even your car) along the ring roads on each half of the facility. 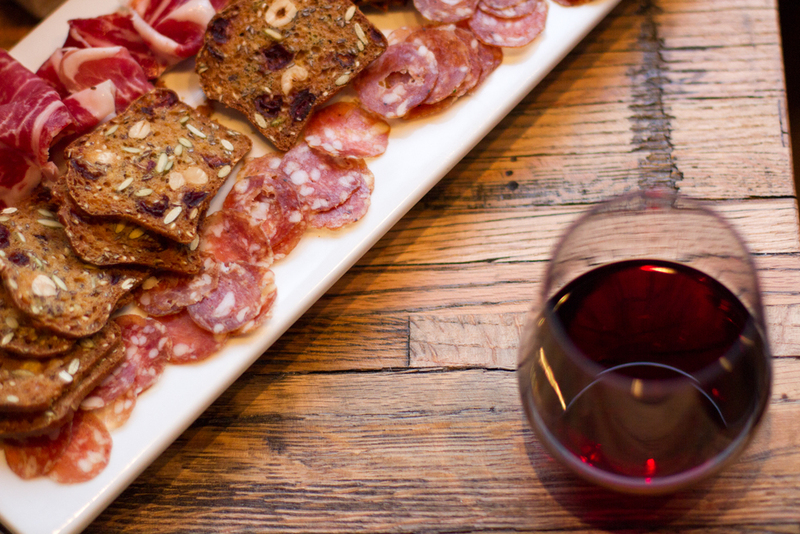 Take a blanket and some wine, and make a date of it! 46 acres of wooded amazing right on Pulaski. Yes, it’s real! I had to check the first time I went myself – I didn’t believe it. A great spot for getting into the woods, birding, and seeing some urban prairie, savannah, and wetlands. Brave the cold in February for the Maple Syrup Festival! Located near both the North Pond restaurant and North Pond Nature Sanctuary, the Alfred Caldwell Lily Pool is a moment of zen in the midst of Lincoln Park. The Park part, not the raucous neighborhood part. Enjoy the gentle sounds of water falling over rocks, and find your inner peace. Nature is found on the South Side too. 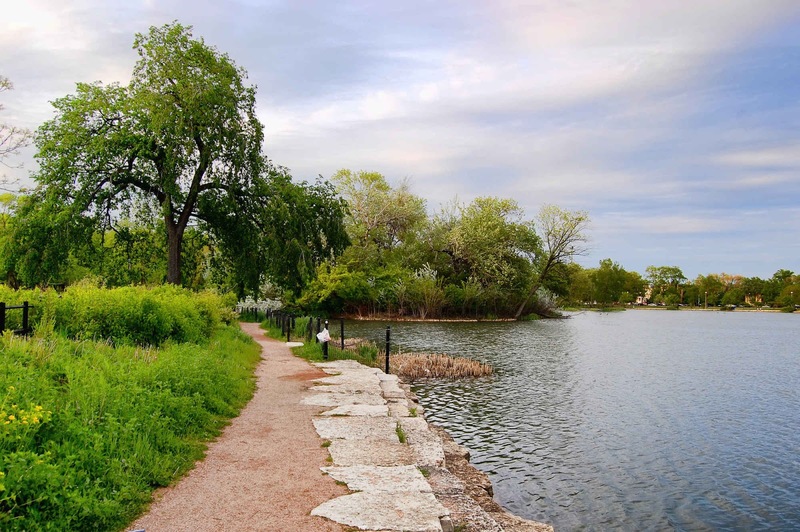 Just off the Lakefront Trail, near Burnham Harbor, is a collection of limestone blocks that pops out into the lake. Offering some amazing views of both lake and city, this could well be the perfect place to say ‘I do’. Lush and tropical are pretty much never used to describe Chicago. Ever. Unless you are talking about the Garfield Park Conservatory. Palms, cacti, and jungle plants never meant to be seen this far north are all on display here. When it gets too hot inside, there are breezy paths outside, to remind yourself that Tarzan is nowhere to be seen. 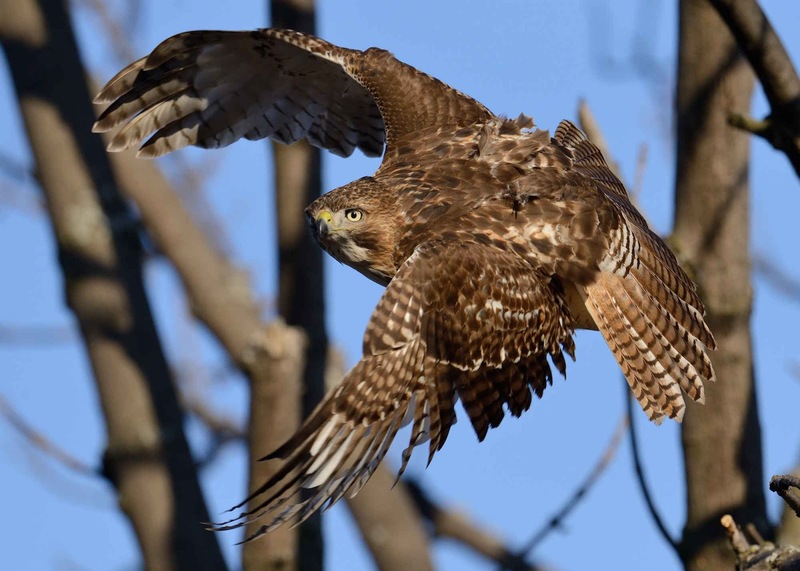 The more relaxed cousin of Montrose Beach, Montrose Park is a bird sanctuary, dune habitat, and great hiking spot. If you want more than that (and the included killer skyline view), there is also a pretty great beach bar right there as well. Bridgeport. Really. Nicknamed ‘Mount Bridgeport’, and home to a defunct stone quarry, this is a great example of the cycle of urban planning and life. From quarry to landfill to park, with wetlands, stone-lined paths, and fishing pond. This really is a hidden gem. 385 acres. 26 gardens. Nine islands. Six miles of lakeshore. And a 45 foot waterfall capping it all off. The Chicago Botanic Garden literally has it all. And if the dazzling array of botany gets to be too much, then there are several grassy park spaces where you can just lie back and relax. Not exactly a nature escape, true, but the newest outdoor space in the city does offer a 2.7 mile walking/biking path winding through an impressive array of neighborhoods. There is also an array of bars and restaurants just off the trail, making this a likely vehicle for crawls of various types. Another ‘not a space, exactly’ entry. The Emerald Necklace is a chain of eight parks linked by a tree-lined 26 mile system of boulevards. Starting in Logan Square, then heading south through locations like Washington, Douglas, Garfield, and Jackson Parks, the Necklace is a perfect counter to folks who insist Chicago lacks in beauty. Well, not hot, that wouldn’t really be sushi, would it? 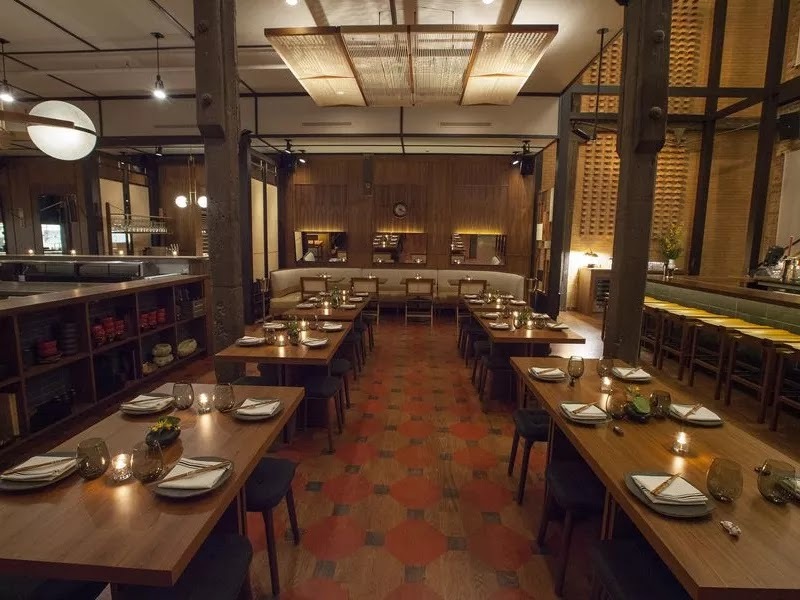 Chicago, despite not being on the coast, has a vibrant sushi scene, and our friends over at Eater put together a list of the eight hottest spots to get your sushi fix. MOMOTARO – 820 W Lake St.
West Loop’s Momotaro boasts 111,500 sqft of space, and provides the full Japanese experience – sushi bar, izakaya bar, and a robata grill. Offerings include the FU roll, with toro, king crab, uni, and A5 wagyu beef. The chef’s choice omakase runs $50 – this is not a cheap date – but it is some of the best sushi in the city. 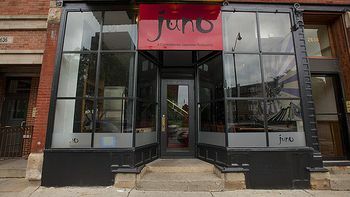 JUNO SUSHI CHICAGO – 2638 N Lincoln Ave.
Back from the ashes – literally this time – Juno is back in full form, and as good as ever. 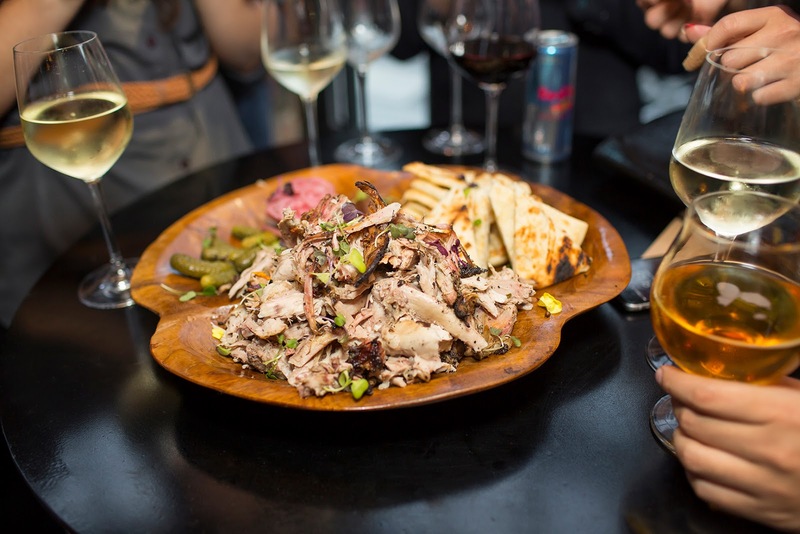 BK Park keeps the kitchen humming, and is the mind behind the smoked sashimi, served on a a circular wooden platter covered by a glass dome, which holds in a healthy dose of applewood smoke. When the dome is removed, the smoky scent fills the entire dining room as if someone had just lit a campfire. 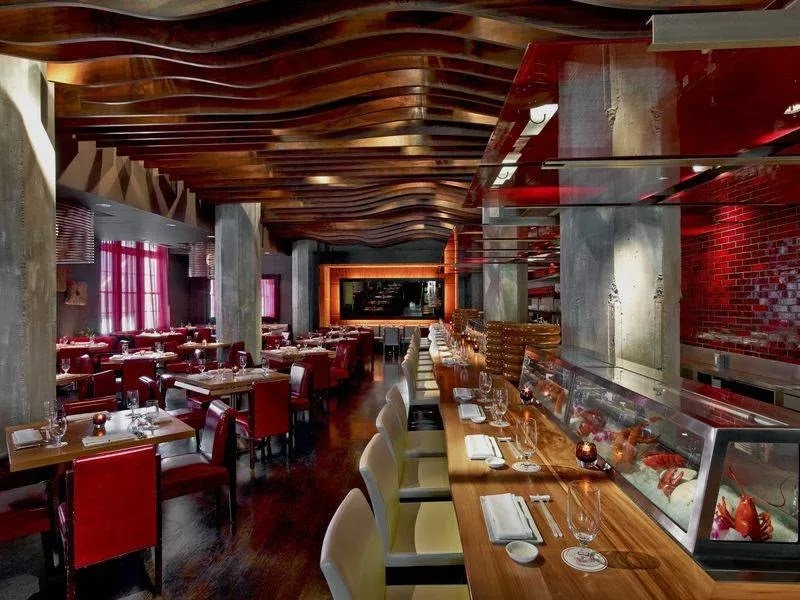 JAPONAIS by MORIMOTO – 600 W Chicago Ave.
Famed Iron Chef Masaharu Morimoto lends his name to this River North hot spot, and had a hand in revamping the menu while the restaurant was remodeled last year. This brought the menu in line with the fusion aesthetic of his other restaurants. Not for the faint of heart, omakase options can hit $160. 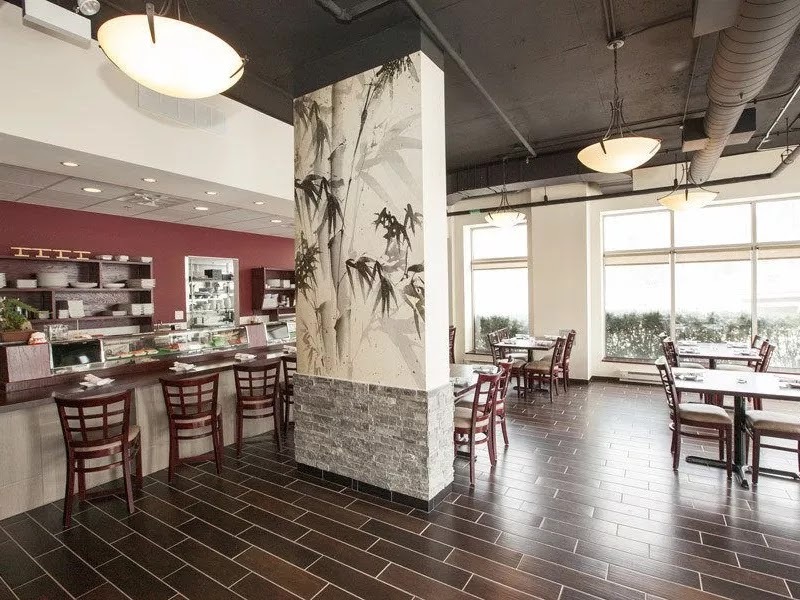 TANOSHII – 720 W Randolph St.
With a moniker like ‘Sushi Mike’, your career path is set. 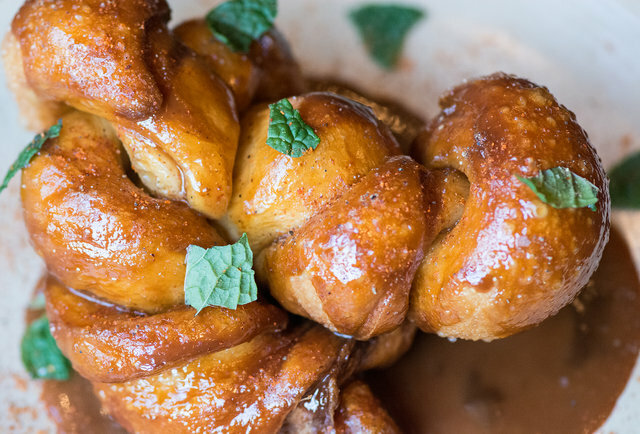 And Mike Ham embraced that destiny, opening Tanoshii in the West Loop and Andersonville, featuring novel takes on both sushi and Western foods with a tuna tartare ‘Fish & Chips’ starter, the Sushi Mike’s Special, and other nontraditional rolls found nowhere else. MIKU SUSHI – 4514 N Lincoln Ave.
Miku has taken the place of Tank Sushi, and for fans of the former Lincoln Park mainstay, this is good news indeed. 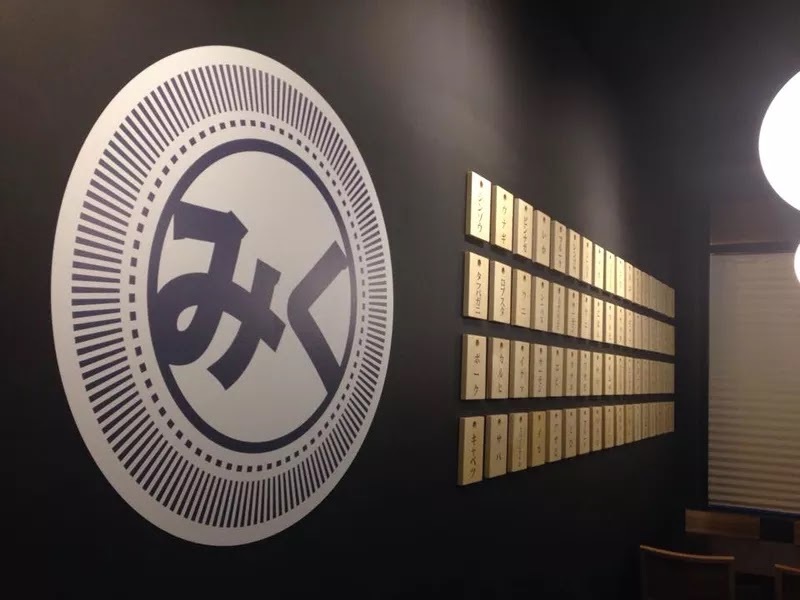 Run by former employees at Tank, Miku has chosen to take a new and signature approach to their food. The Miku maki is a great example, made with unagi, cream cheese, avocado, foie gras, jalapeno, and soy sauce. 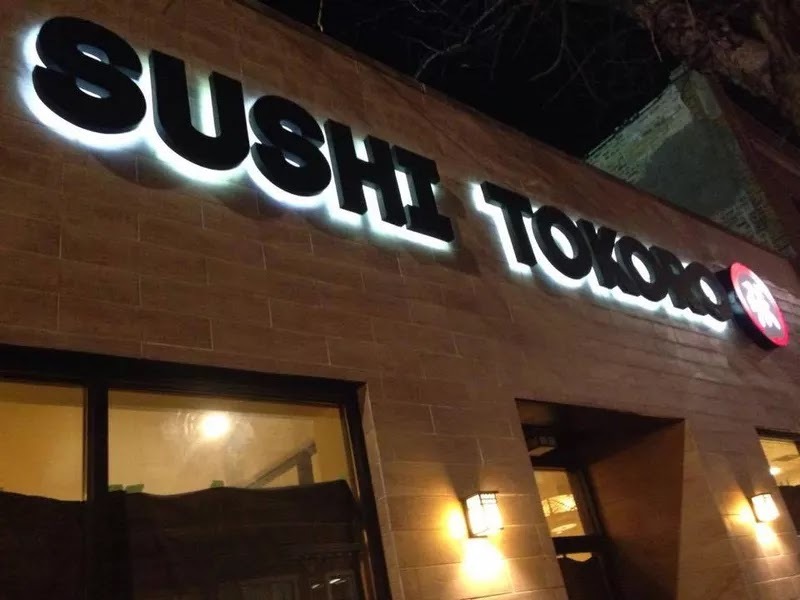 SUSHI TOKORO – 4750 N Western Ave.
Another Lincoln Square sushi restaurant, Tokoro may offer the best bang for your sushi buck. For $21.95, you can score their all-you-can-eat dinner, and spend your evening feasting on mountains of fish and rice. 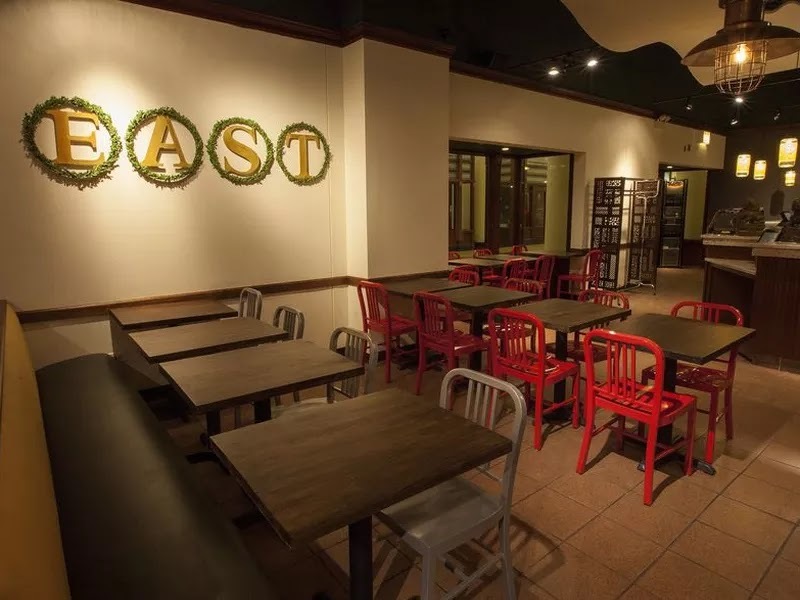 Situated in the DePaul Loop campus (DePaul Center), East Asian Bistro is a great spot for a fast lunch from the same crew that brings you Hot Woks Cool Sushi. The beef bento is my personal favorite – and won’t break even a college student’s budget. Try the signature maki rolls, like the Edmame Smoked Salmon and Cucumber Quiona. 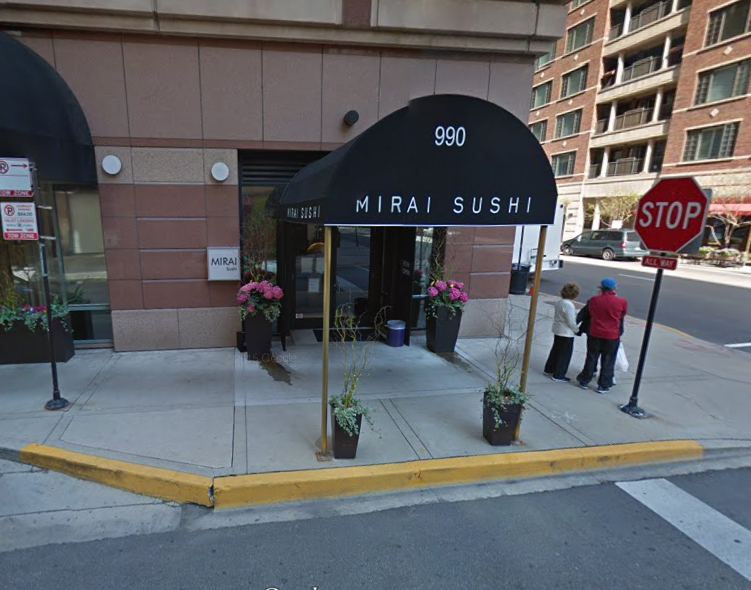 Popular in Wicker Park, Mirai recently opened a Gold Coast location after the closing of Masaki. The menu features the long-time favories like the Spicy Mono roll, made with spicy octopus topped with tuna tartare and sweet unagi sauce. And if the layout of their website is any clue, a third location is being planned.